Play Your Position Podcast - Show Up. Be Yourself. Win. ...learn the skills that can make you an exceptional leader! I'll send you my leadership playbook directly to your inbox, right now! 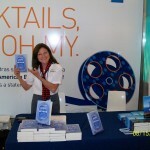 Heather McKeown is the author of the book, Above and Beyond: Inspiring Adventures into the Blue and currently serves passengers at 35,000 feet through her work as a Flight Attendant with JetBlue Airways. She is also the editor of The Optimist Newspaper, a publication dedicated to suicide prevention. What challenges flight attendants most of the time isn’t what many people might think. Heather pulls back the curtain on how she and her colleagues manage their time and energy so they show up each day to play their best game for customers at 35,000 feet. She also shares why she believes there is never enough polyester in anyone’s life and how a severe heat wave at JFK could trigger a polyester meltdown worse than the disaster at Three Mile Island. Finally, while most people would have given up their dream after one or two rejections, Heather celebrates the fact that she received 53 rejections to become a flight attendant between the ages of 18 and 22. Now, in her early sixties, Heather has been playing the flight attendant position successfully for the last ten years, proving it’s never too late to make dreams come true. Getting kicked off the track team in 8th grade for running under the hurdles led Heather to become a nationally ranked runner. She believes that training and working harder are the keys to building a life that matters and leads to dreams coming true. Connect with Heather McKeown on Facebook. If you enjoyed the show, I would really appreciate your review in iTunes! Become an MVP and go behind the scenes of PYP. Get exclusive highlights about guests, events, giveaways, and more! Subscribe to our newsletter today. Mary Lou Kayerser brings terrific energy and excellent questions to these inspiring conversations with business owners and leaders. Each interview follows the same structure, but the show never sounds stitled because there's plenty of back-and-forth between Mary Lou and her guests. And guests talk not only about success, but about failure, too, and lessons learned from those setbacks. Mary Lou Kayser, host of the Play Your Position podcast, highlights all aspects of business, leadership and more in this can’t miss podcast. The host and expert guests offer insightful information and advice that is helpful to anyone that listens! I recently started listening to Mary Lou's podcast and have fallen in love with the show. The interviews are always inspiring. I find myself referring to something someone said on one of her shows quite regularly. Keep up the great work! Mary Lou does a great job interviewing her Guests. My favorite episode is #77 with Tanner Gers. Thank you for sharing your Guests and their inspiring stories! I would definitely recommend subscribing to this Podcast. Great show that has inspiring guests sharing their journey!